Last night was Brandon’s Senior Concert. It was big deal to watch my son perform his last college concert. 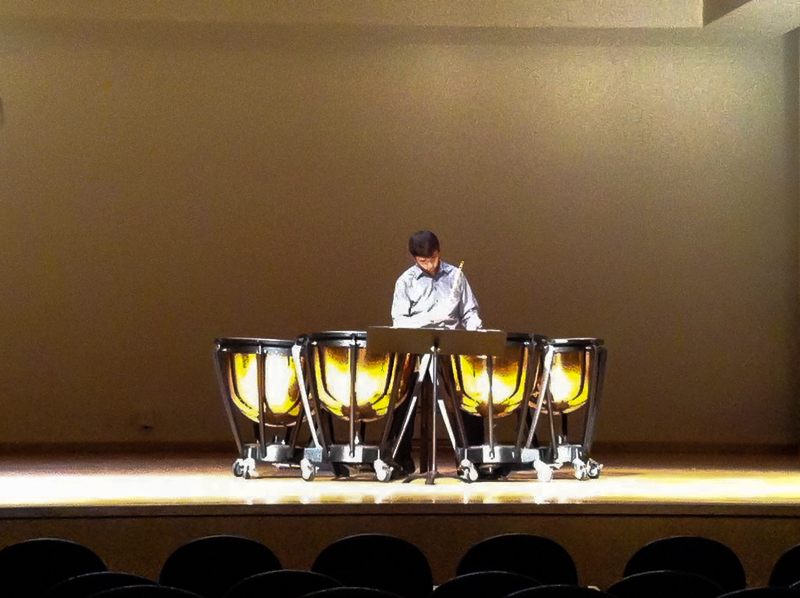 He performed three musical pieces solo on the stage using two different percussion instruments, timpani and a marimba. Next semester he starts his student teaching. If you can’t tell, I’m proud of him.